What is a great city without great bookstores? Luckily, here in Los Angeles we don&apos;t have to wonder. Our city abounds with a wealth of places to browse and devour all kinds of books. We are particularly fond our town&apos;s indie bookstores, each which has their own utterly unique atmosphere and human-scale curated selection. 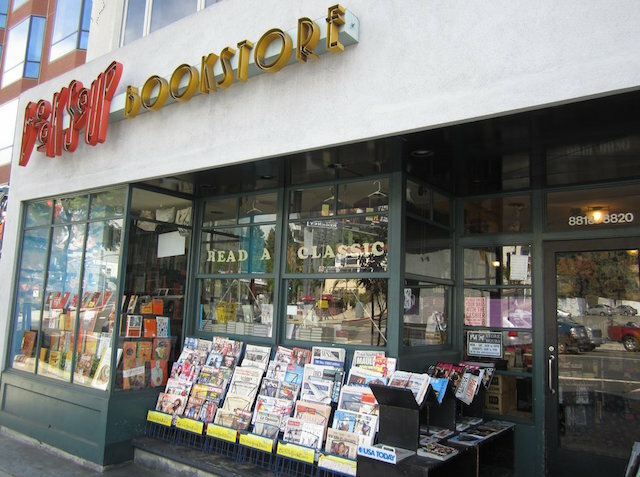 Here are 10 of our favorite indie book stores, along with a staff recommendation from each store for our LAist readers. One could argue that Skylight is basically the platonic ideal of an indie bookstore. It&apos;s big enough to almost always have what you are looking for while still feeling neighborhood-y and cozy. There is an actual tree in the middle of the store and even a resident cat (hi, Franny!). Skylight also boasts one of the better Los Angeles/California sections of any bookstore in the city, along with a noteworthy cookbook selection. They added an "annex" next door a few years ago, which houses books on art, design, architecture, music, film, theatre, fashion, graphic novels and magazines. Steve at Skylight recommends Hip Hop Family Tree Book 4: 1984-1985 by Ed Piskor, saying that "the fourth volume in Ed Piskor&apos;s incredible graphic history of hip hop features some of the most iconic artists and some great Los Angeles shout outs including: Ice-T, the movie Breakin&apos;, and KDAY. Piskor&apos;s art and storytelling make this book (and the whole series) an instant classic." 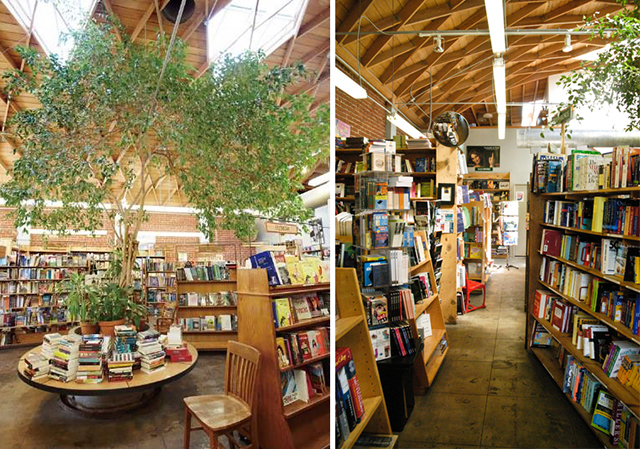 Skylight Books is located at 1818 N. Vermont Ave. in Los Feliz, (323) 660-1175. 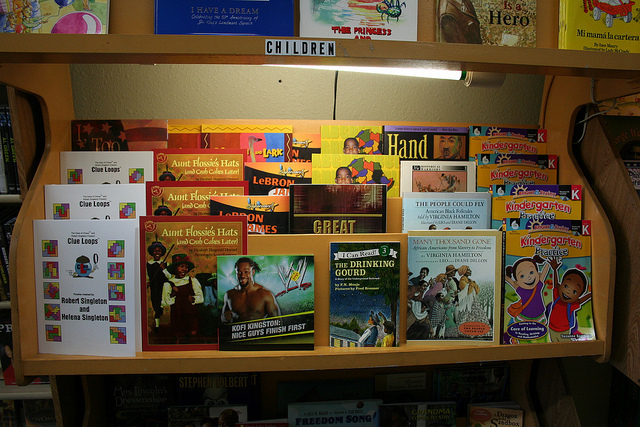 Located in Leimert Park, Eso Won is one of the country&apos;s oldest and most-respected black bookstores according to no less a source than Publishers Weekly. They specialize in books with an black focus and carry deep cuts on music, race, history and politics that are rarely found in other brick-and-mortar stores. The owners are extremely knowledgable and have pointed me toward relevant books for research projects in the past. Though the great selection and friendly atmosphere are more than enough reason to visit Eso Won, shopping there also provides an excellent opportunity to "vote with your dollars," and support a black-owned small business, of which there are far too few in this city. James of Eso Won recommends Stamped from the Beginning: The Definitive History of Racist Ideas in America by Ibram X. Kendi, which he describes as "a powerful book by a new young scholar." Stories is like your cool office, if your coworkers were way more attractive in an interesting-looking-Girls-casting-call kind of way, and your office had rad art on the walls instead of lame motivational posters. 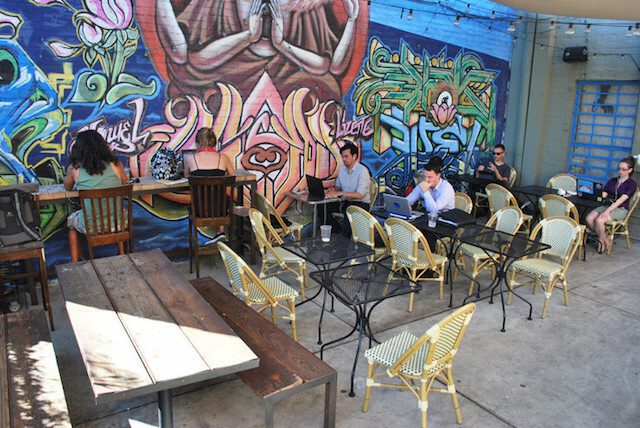 It&apos;s a bookstore-slash-cafe, with plenty of space to hang out and read or work. The food is simple but surprisingly good, and relatively cheap for a place with such a high concentration of bearded men writing screenplays. The book selection is a good mix of used and new, with plenty of deals to be had on the used ones (including some art books!). The store is relatively small, so Stories is probably not the place to go if you are looking for something super specific; but it&apos;s perfect for discovering any number of eclectic gems. I have also witnessed numerous bookish meet-cutes while hanging at Stories, so the odds are ever in your favor. Alex at Stories recommends The Transmigration of Bodies by Yuri Herrera, which he describes as "a slim novel packed with enough existential threat to balance out all the sun and fun out on the sand. Short enough to enjoy on one beach day, dark enough to make you wonder if the horizon is indeed closing in you." Oh, Last Bookstore, how we love you! I spend many a lunch hour wandering your aisles. The cavernous 22,000 square-foot downtown space is at once overwhelming and welcoming. 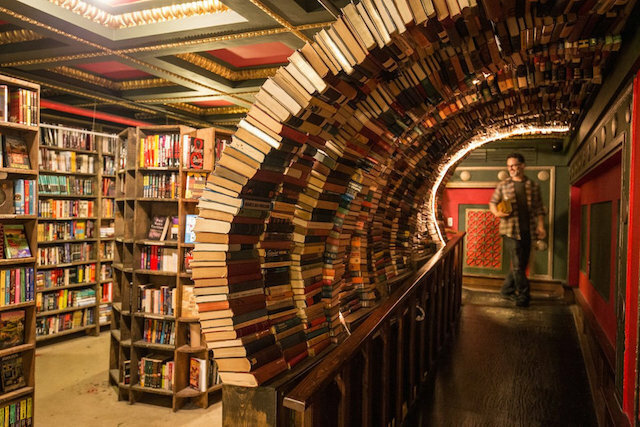 The main floor is massive and meticulously organized by section, and the magnificent upstairs labyrinth and book tunnel is an otherworldly, mad spectacle. The tradeoff to the kind of space that&apos;s routinely included on lists of the world&apos;s most beautiful bookstores is that the labyrinth has—unsurprisingly—become a bit of a tourist attraction. On my last visit, I patiently waited for two different sets of out-of-towers—or possibly just Westsiders?—to take pictures before I could pass through the tunnel. That said, the Last Bookstore is well worth braving the selfie takers. There is nothing like it. Just go. Katie at The Last Bookstore recommends The Girls by Emma Cline, which she describes as "one of the novels of the summer, it explores a pivotal summer for the narrator as she gets caught up in a Manson Family-esque cult." 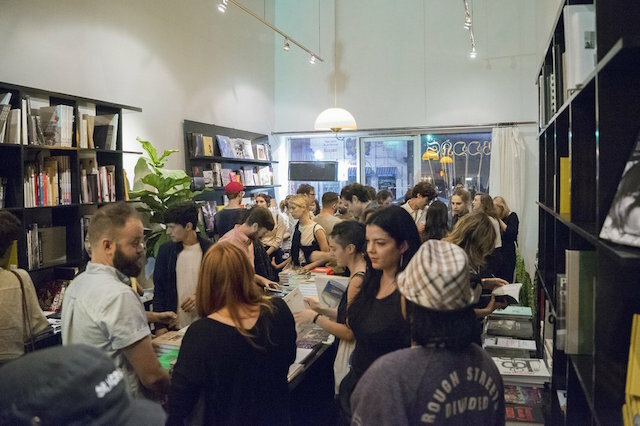 Arcana, which The New York Times has called "the go-to purveyor in Los Angeles for rare and out-of-print books on art, photography, architecture, design, fashion and music," is an essential destination for any aesthetically-inclined Angeleno. Run by a husband-and-wife team, Arcana has been around since 1984, though they only moved to their Helms Bakery Complex location in Culver City a few years ago. The beautifully designed, airy space feels a bit like a gallery or museum. It&apos;s not cheap (some of the rarer editions are wildly expensive) but even art lovers without deep pockets will enjoy a visit, if only to admire the exquisite tomes on hand. Whitney of Arcana recommends Both Sides Of Sunset, an art book that she describes as "an astonishing compilation of photographs of Los Angeles—&apos;the impossible city,&apos; the land of &apos;Sunshine and Noir&apos;—by some of the world&apos;s best artists." 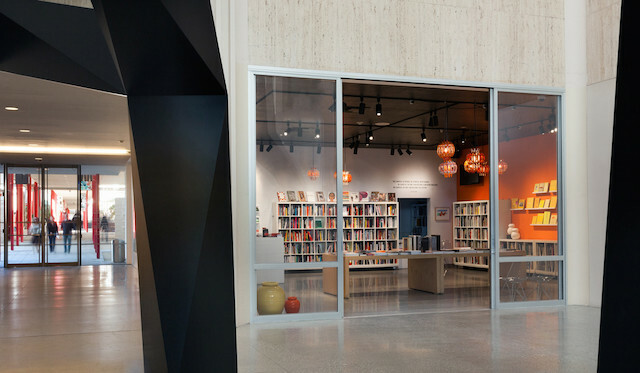 Art Catalogues is an independent art bookstore that operates under the umbrella of Los Angeles County Museum of Art. It&apos;s housed on the LACMA campus, making it ideal for a pre/post-museum visit. They have a fair amount of general contemporary art books, but their real specialty is both current and out-of-print museum and gallery exhibition catalogues, hence the name. They stock books in an array of price points—some are gallery worthy, with gallery-worthy prices, but they also carry a fair amount of art books under $30 (including some very cool limited-run selections from small publishers). Dagny of Art Catalogues recommends BILLY 1968, a catalogue for an exhibition of work by artist Billy Al Bengston: "Ed Ruscha designed this catalogue for an exhibition of works by his friend, Billy Al Bengston. The exhibition installation was designed by Frank Gehry. It was one of the first collaborations by these three icons of art in California." Growing up in L.A., Children&apos;s Book World was more than just a bookstore, it was a mesmerizing portal to another world—the Narnia wardrobe, Platform 9 ¾, and Alice&apos;s rabbit hole, all in one. 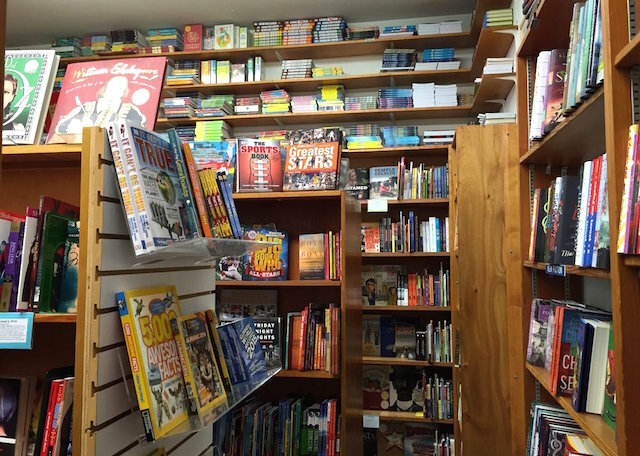 It&apos;s the kind of place where the booksellers remember kids&apos; names and interests, and can readily dole out on-point recommendations for even reluctant readers. They also host a free weekly story time every Saturday at 10:30 a.m. for younger kids, featuring storytellers, author readings and musical performers. Sharon at Children&apos;s Book World recommends We Came to America by Faith Ringgold: "In the timely new picture book We Came to America, Faith Ringgold&apos;s striking illustrations and powerful, lyrical text beautifully express how our country is made up of people from many different countries and &apos;We are ALL Americans, Just the same.&apos;"
Found in 1975, Book Soup is more than just a bookstore—it&apos;s an iconic part of the Sunset Strip landscape. 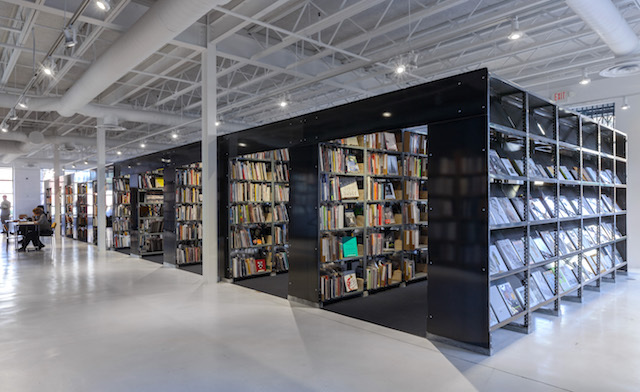 Its towering, floor-to-ceiling bookshelves and a selection that is especially strong on art and film books attracts an industry clientele. 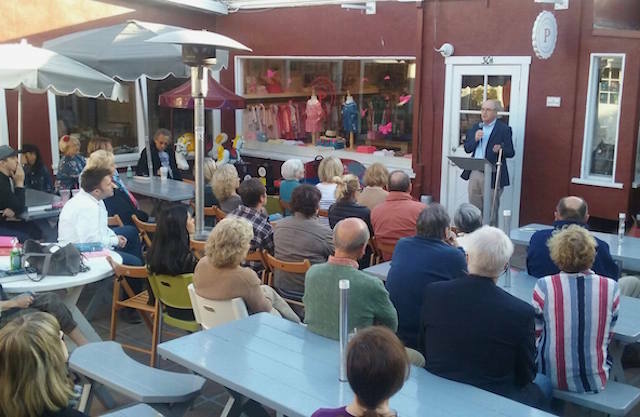 Author events are a huge part of Book Soup&apos;s culture—the likes of Gore Vidal and Hunter S. Thompson have appeared at Book Soup—and their jam-packed calendar has something going on almost every night. The schedule for July alone includes Chuck Palahniuk, Ask Polly columnist Heather Havrilesky, TV historian Jennifer Keishin Armstrong, and seminal musician John Doe. In the first season of Californication, Hank Moody (David Duchovny) celebrated the release of his fictional book with—what else?—a reading at Book Soup. Amelia of Book Soup recommends Ghettoside by Jill Leovy: "This meticulously researched investigation of violence in South Los Angeles—specifically, black-on-black crime in urban areas, and the complexities of law enforcement therein—should be required reading for everyone who resides here." Tucked into the Brentwood Country Mart, Diesel is small but packed. Highlights include their large young adult section, as well as their extensive nonfiction selection. And, at the risk of sounding like a broken record, the friendly, deeply knowledgable Diesel staff is also what makes the place so special (shout-out to my girl Emma, a third-generation bookseller and Diesel part-timer). If you want something in particular, the store does a ton of special ordering for customers and can usually get books in within two business days. Emma of Diesel recommends All Involved by Ryan Gattis: "Gattis weaves 17 fictional accounts of the days of the L.A. riots, through the point of view of an array of characters, including gangbangers, drug dealers, nurses and firefighters alike. It&apos;s thrilling historical fiction at its best!" If Stories is your cool office, then Family is like being a freshman at college and walking into the off-campus apartment of the brilliant and brooding senior in your Joyce seminar who knows every band you&apos;ve never heard of and won&apos;t ever give you the time of day. Except that suddenly they are telling you about every awesome small press book you will love, and this weird zine you really need to check out, and this whole rack of wild magazines you&apos;ve never seen before. It&apos;s pretty small, but you won&apos;t be short of options. They also have some cool prints and plenty of signed editions. David of Family recommends Confabulations by Torbjørn Rødland: "These images share an aesthetic quality and even subject matter of commercial photography, so they feel familiar, but they&apos;re tweaked often in a perverse or creepy way, so they also feel alien, like a half-remembered dream, or a memory you&apos;re not sure is real or not."